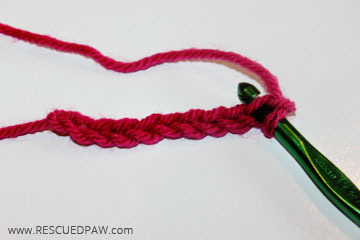 Are you just learning to crochet or in need of a refresher? 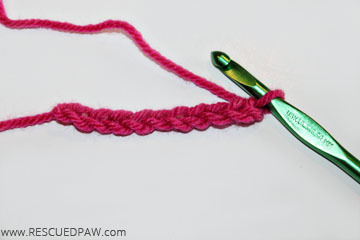 Keep on reading to learn how to single crochet! 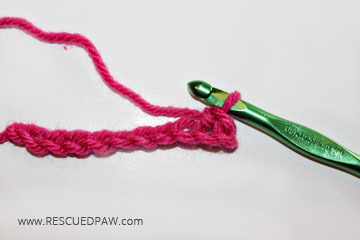 Below you will find a quick picture tutorial explaining a single crochet stitch. 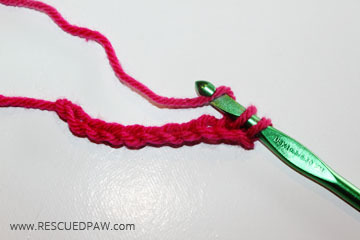 It is easy to learn and so many projects can be made from it. 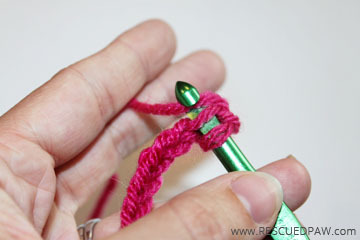 I promise once you get the hang of this basic stitch you will be addicted. 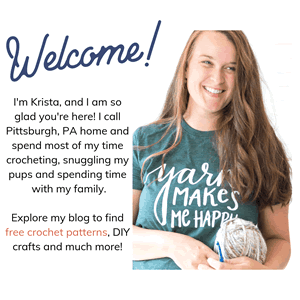 You have successfully completed a SINGLE CROCHET! 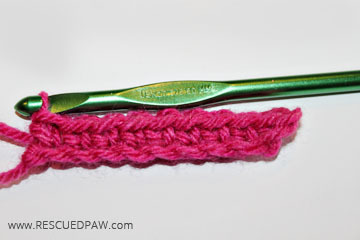 Keep on going across the row to achieve a row of Single Crochets. 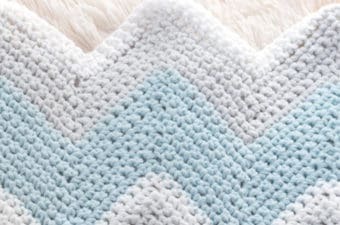 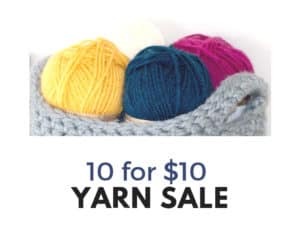 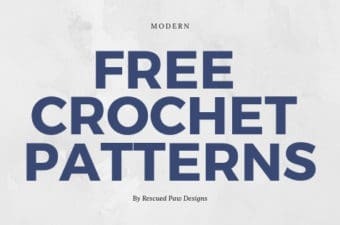 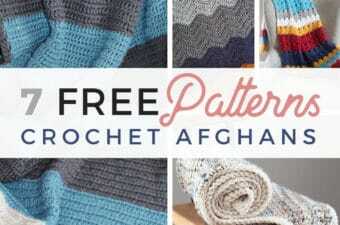 Now that you have mastered a single crochet you can have fun making rows of colors and creating unique projects. 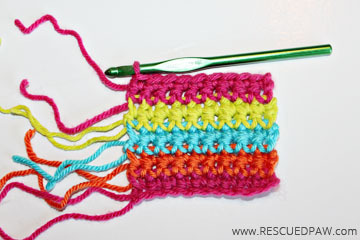 If you need help with changing colors in crochet visit my picture tutorial here. 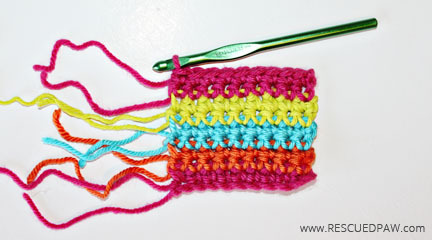 In the sample pictured below, I did two rows each of single crochets before changing colors. 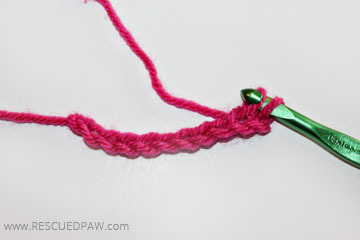 I hope you enjoyed this learn how to single crochet tutorial!